Here is a fun new song. 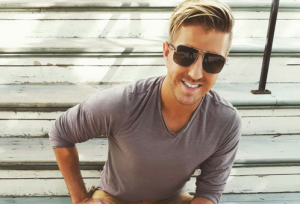 Billy Gilman has been putting out new music all year. I’m way late to the party, but I’ll try to get caught up with the latest release. This new one came out about a month ago and it’s really catchy. I like it. I can’t believe it’s been 15 years since Billy first broke into the country scene. He made waves back then because of his age, but really it was because of his talent. He had some powerful songs and he sang the hell out of them. And he seems to still have a great voice. This one has me feeling a little nostalgic. For some reason it has a sound similar to that of country around the 2000 era. That’s when Billy was big on the charts and I was a big fan of country music during those times. But this one also has some new elements to it as well. I think it’s got some good things going for it. The song is about love. It’s not anything too serious and it doesn’t need to be. It’s just the kind of song that will make you feel good and think about the person you’re in love with in your life. And Billy shows that he can still sing a good catchy country song. Although I don’t think anyone ever had that doubt. I’m happy to see that Billy is still out there making new music. It has to be difficult to be so young and in the public eye, but he seems to have handled it well and I hope he can find the same level of success again.